In this episode I’m talking to Dr Chloe Sharp, who had her viva in January 2013. Chloe did her PhD at the University of Bedfordshire and her thesis was titled “Examining the relationships between deceased organ donation, gift exchange theory and religion: a Polish perspective.” Once again, it was fascinating for me to hear about a research topic very different to my PhD! You can find Chloe on Twitter as @formalcuriosity, and check out her website Formalised Curiosity for articles on research and more information about her work. You can find the article about common viva questions that Chloe wrote here. If you’ve got any questions or comments about this episode, then comment on this post, tweet @VivaSurvivors – or email me! And please get in touch if you’d like to appear on a future episode. 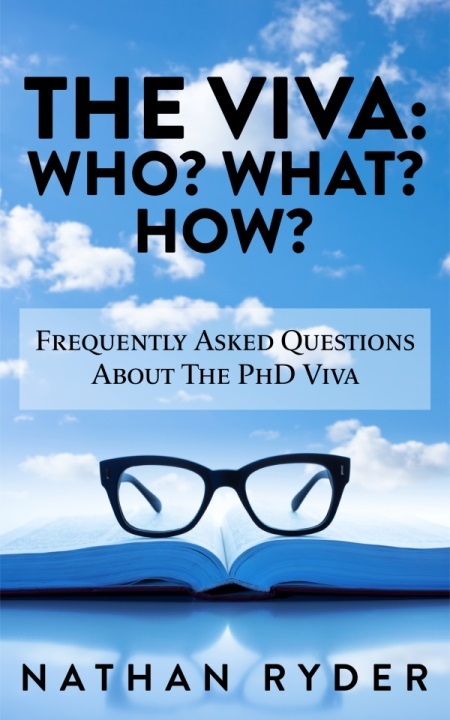 I’m always looking for PhD graduates ready to share their research and viva experiences. I’m also looking for academics happy to talk in future specials on Academic Jobs or being an examiner. In this episode I talk with Dr Denise Proudfoot, who completed a Professional Doctorate in Health in 2014. Her research was a narrative exploration of the experiences of mothers living with HIV in Ireland, and she completed her doctorate over seven years while working as a nurse lecturer in Dublin City University. It was great to hear about Denise’s research and experiences, and you can find her on Twitter as @Denproud. In Episode 35 I talk to Dr Eljee Javier, who recently completed her PhD at the University of Manchester. Eljee’s research explored the experiences of visible ethnic minorities who were native English speakers and teaching English to non-native speakers. It was fascinating to hear about how she did her research, and to then hear about her viva preparations and her experience on the day. Eljee’s blog is great, and she’s recently posted both on her preparations and on the big day as well. She has blogged a lot about her PhD journey, and you can find her on Twitter as @eljeejavier. Let me know what you think of this episode, leave comments on this post, tweet @VivaSurvivors or email me – particularly if you want to appear in an episode of the podcast this year. And if you’re viewing this on a computer, look to the right and subscribe to get notifications when new episodes go live! In Episode 34 I talk to Dr Grant Aitken, who had his viva in December 2014 at the University of Southampton; Grant’s research explored the social epidemiology of chronic kidney disease in England, and we chatted about how he did his research, what the outcomes were and what happened in his viva. Grant (who is on Twitter here) is currently a postdoctoral researcher at Southampton. Let me know what you think of this episode, leave comments on this post, tweet @VivaSurvivors or email me – particularly if you want to appear in an episode of the podcast this year.